Holy Thursday – I just mentioned it is the Thursday before Easter so that means it is Holy Thursday. Today we remember the final meal Jesus shared with his disciples, referred to in art and pop culture as the Last Supper. It was during this dinner that Jesus Christ established the Holy Eucharist, a sacred rite that has since been commemorated for over 2,000+ years, a cornerstone of the Catholic faith. During Holy Thursday mass, the priest washes the feet of parishioners, and many times parishioners wash the feet of fellow parishioners as well. We do this to imitate our Savior. During the Last Supper, Jesus washed the feet of his disciples, providing us with the best example there is of serving and loving others. 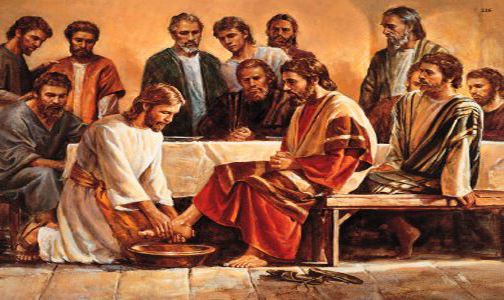 Jesus set a great example when he washed the feet of his disciples. Happy Birthday, Miranda! – Yesterday, my sister celebrated her 34th birthday. Miranda is the oldest child in our family and I can now relate to the love my parents have for her. With Sloan’s birth, I know I will always have a special love for our first born daughter. Little girls are just so special! Although her birthday is March 28, she celebrated with everyone on Sunday with a Chinese dinner and ice cream cake. Thanks for being a great sister, Miranda. Love you! 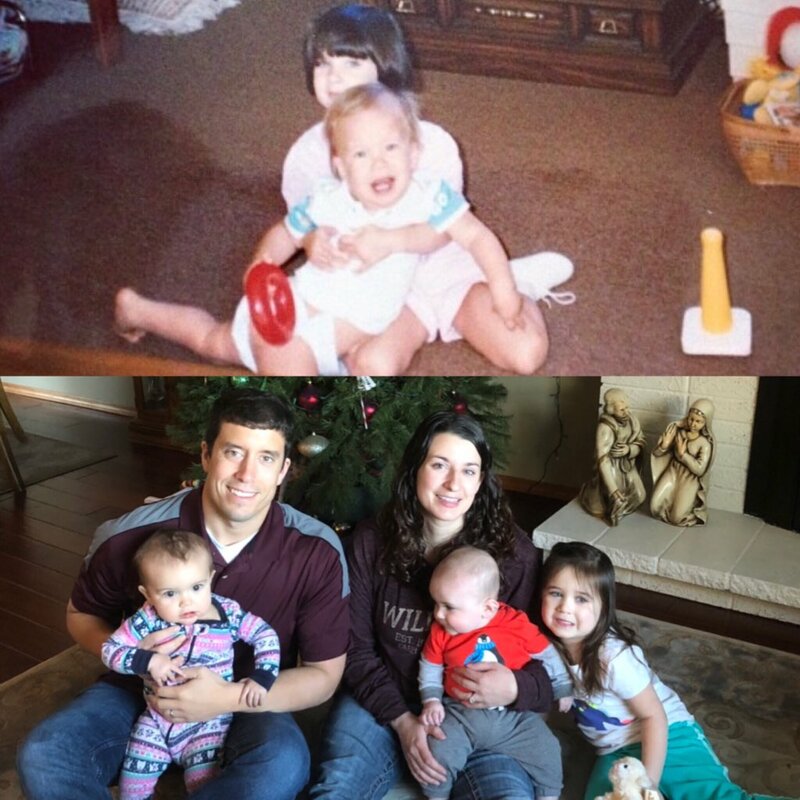 The top photo is of Miranda and I as babies and the bottom photo is of Miranda and I with our babies. Happy Birthday! Ice Cream Rolls – Speaking of ice cream cake, I have been made aware of another ice cream incarnation. A place recently opened in Spokane called Yummy Ice Cream Rolls. 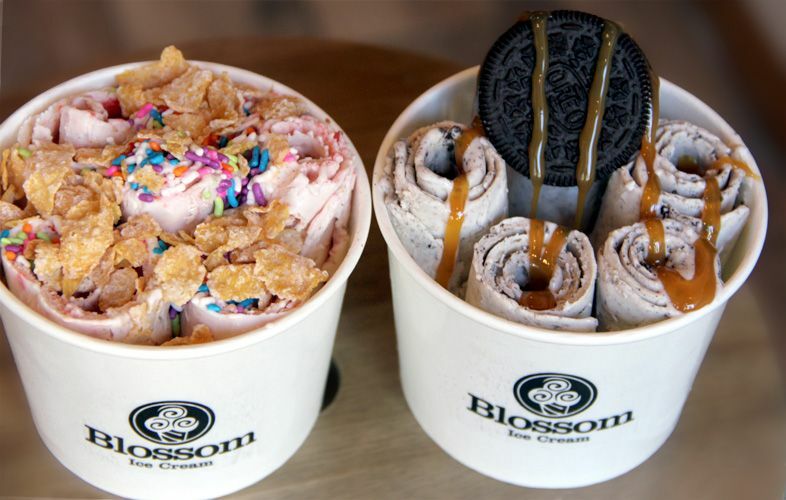 As you could probably guess from the name, the business specializes in ice cream rolls. But what is an ice cream roll? It is a combination of Cold Stone and Sub Zero Ice Cream. A creamy based is poured onto a freezing steel surface and toppings applied. It is then rolled up by hand using a scraper and drowned in sauces and other toppings. The photo below shows what the final product looks like. I want to try it! Who wants an ice cream roll? Some Sloan Photos – I thought I would share some quick Sloan photos with you from the past week. Let’s start with the top right hand corner and rotate clockwise. 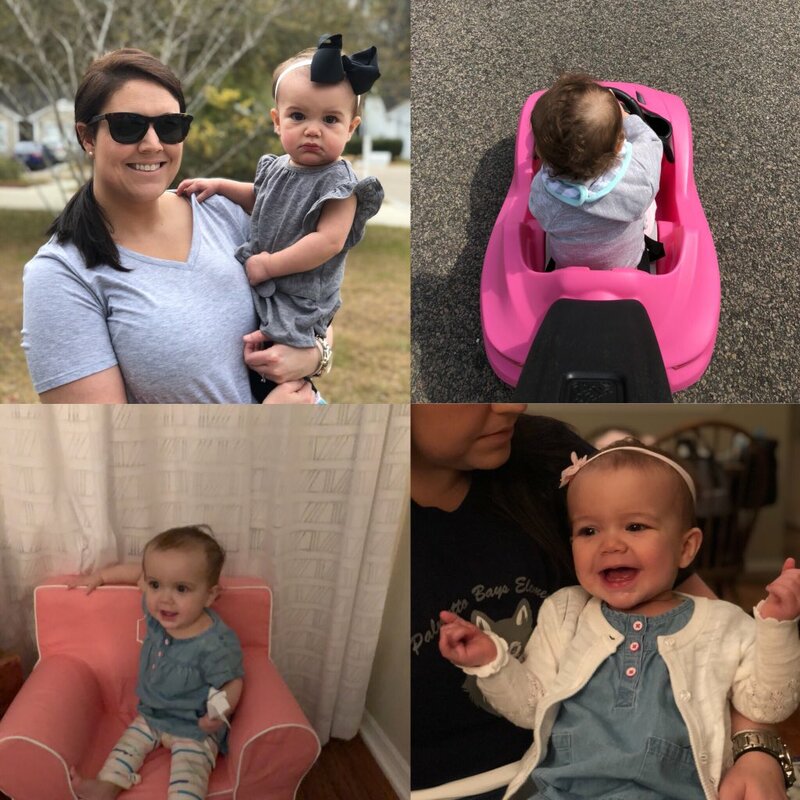 The first image is of Sloan cruising in her brand new car she received for her birthday. She took it for a spin this past weekend and honked the horn (yes, it has a horn) the whole way. The second photo is Sloan wearing the outfit she took her individual day care pictures in yesterday. Can’t wait to see how they turned out. The next photo is Sloan sitting in her very own chair that Sidney’s mom gave her for her birthday. The toddler-sized piece of furniture has a “S” on it. Finally, the photo in the top left hand corner is my favorite. It is Sloan and Sidney both looking beautiful on Palm Sunday. Some of the latest Sloan photos for you to enjoy. Soar At CCU – Every month or so I have to brag about our beautiful campus at Coastal Carolina University. After sharing this video, I don’t think I will ever have to again because it is a mic drop. David Russell and CCU Video Production outdid themselves by using their drone to showcase the gorgeous sights of #TEALnation. 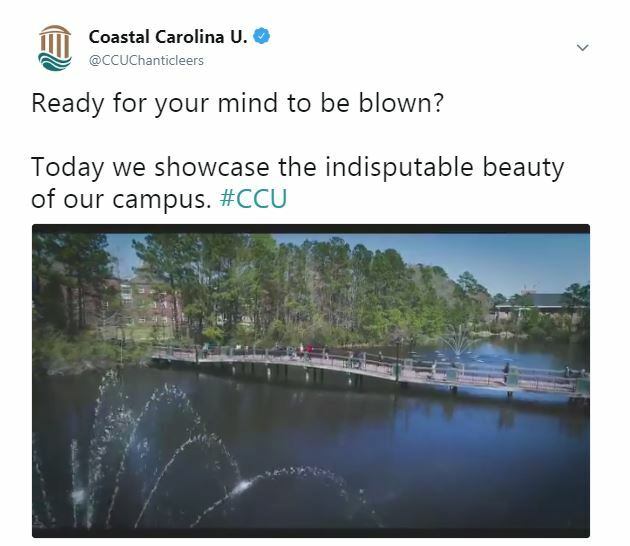 Please watch to get a feel of the beauty, growth, and uniqueness at Coastal Carolina. Make sure to watch the drone video of our gorgeous campus at Coastal Carolina University. Happy Easter to everyone! May you have a joyous weekend filled with praise and love. Don’t Blink.